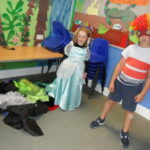 St Luke’s Primary school after school club take children with and without a disability, aged 4 to 11 years. 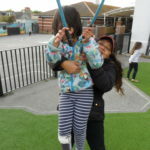 We offer a fun, safe and inclusive environment for children to play and socialise in. The club is open Monday to Friday term time 3.15pm to 6pm (except inset days that are the same as the schools). We pick children up from the infant classes, and meet years 3 and 4 from their school entrance. 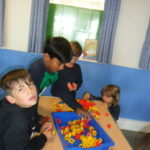 Year 5 and 6 make their own way to the club, which is situated in the canteen building. In order to apply for an after school club place please contact the club supervisor on 07917 732922 – please be aware that places are in demand and we do normally have to run a waiting list but please do still contact to express your interest so that we have your details. 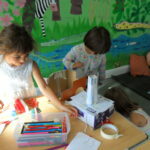 Please note Extra-time no longer run the after school club.